S’mores are so yummy all on their own! A couple graham crackers, a roasted marshmallow and some chocolate is all you need to make this delicious treat. 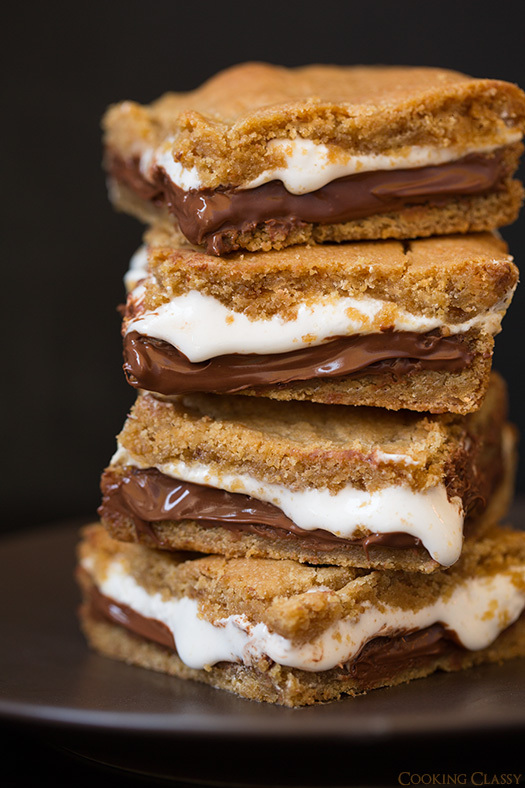 But I’ll admit these reinvented S’mores recipes look incredible! 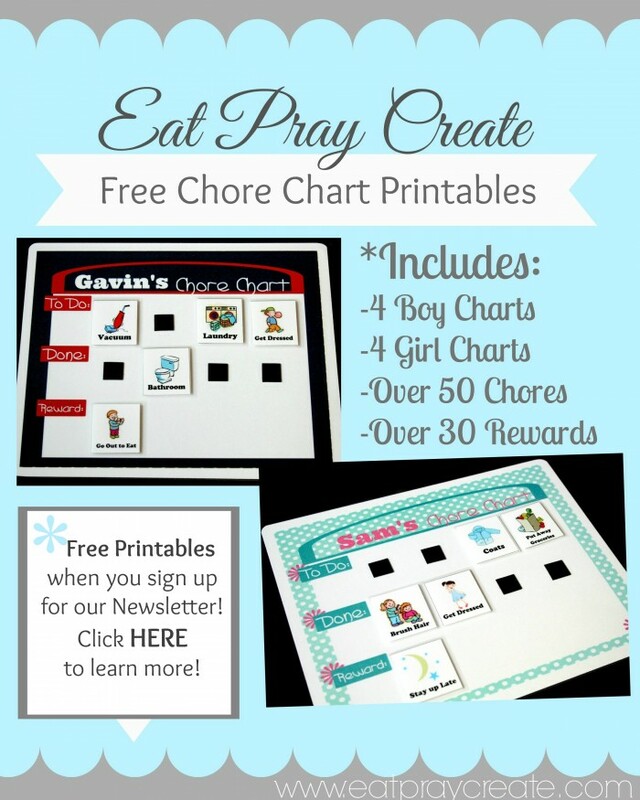 My personal favorite is using Reese’s cups instead of a Hershey’s bar! What’s your favorite way to eat S’mores?? 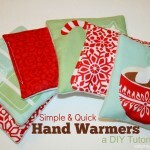 Try some of these recipes and let us know what you think! 1. 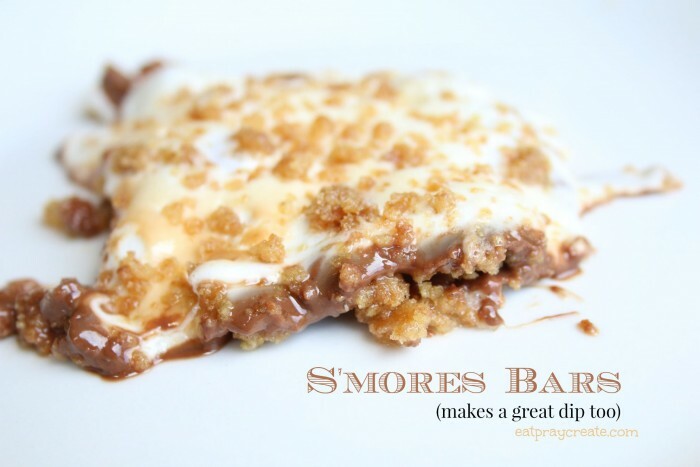 S’mores Dip/Bars Recipe. So yummy! 2. 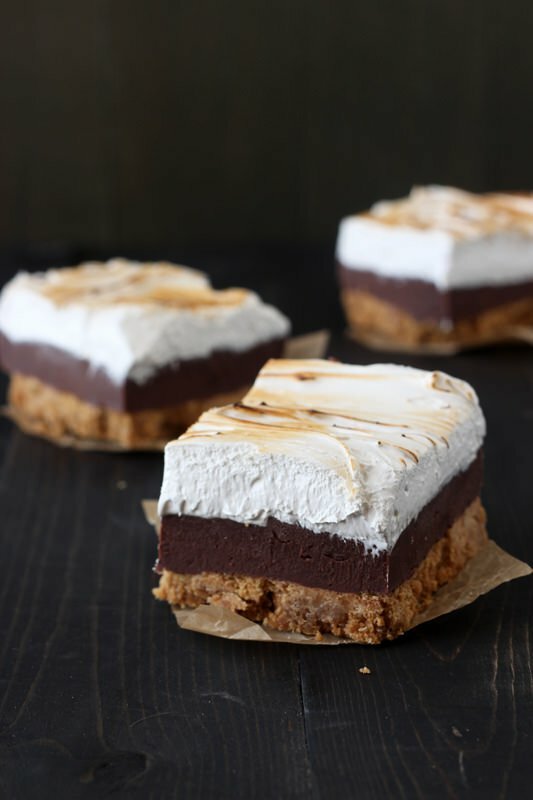 These S’mores Fugde Bars look amazing! 3. 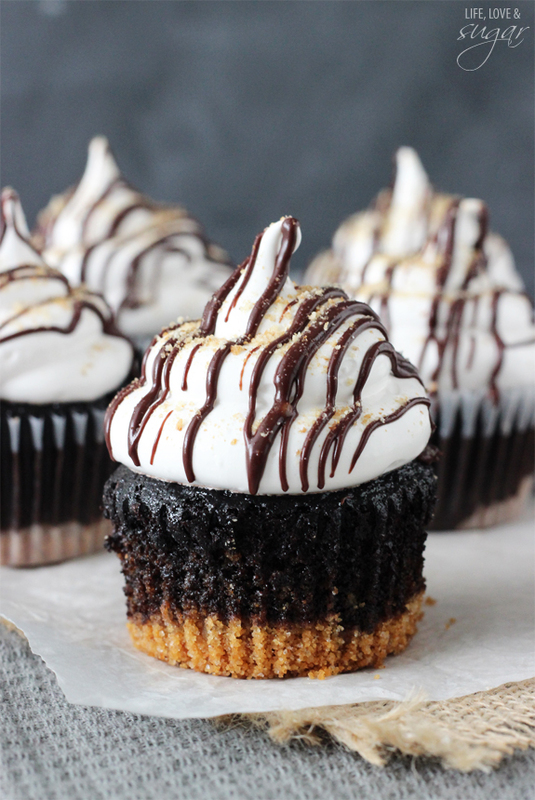 S’mores Cupcakes for all you cupcake lovers! 4. Nachos anyone?? 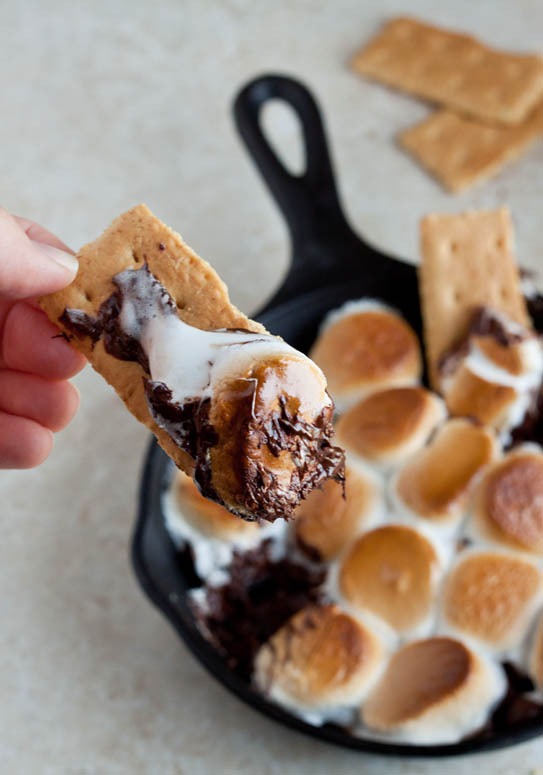 These S’mores Nachos look scrumptious! 5. 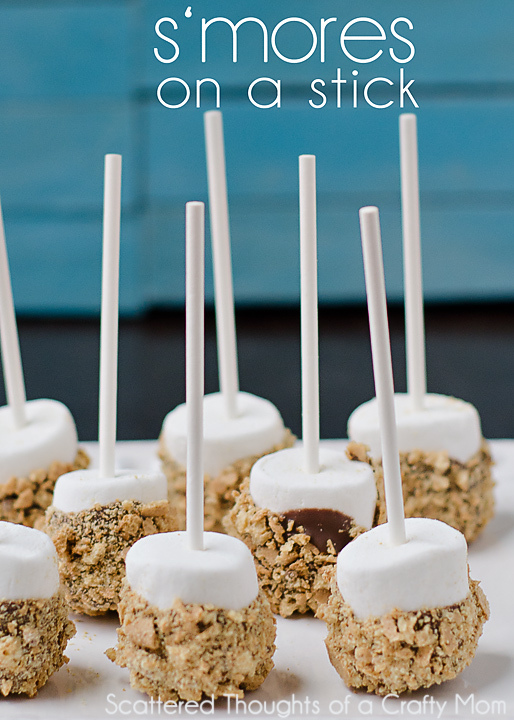 Get less mess with these cute S’mores on a stick! 6. 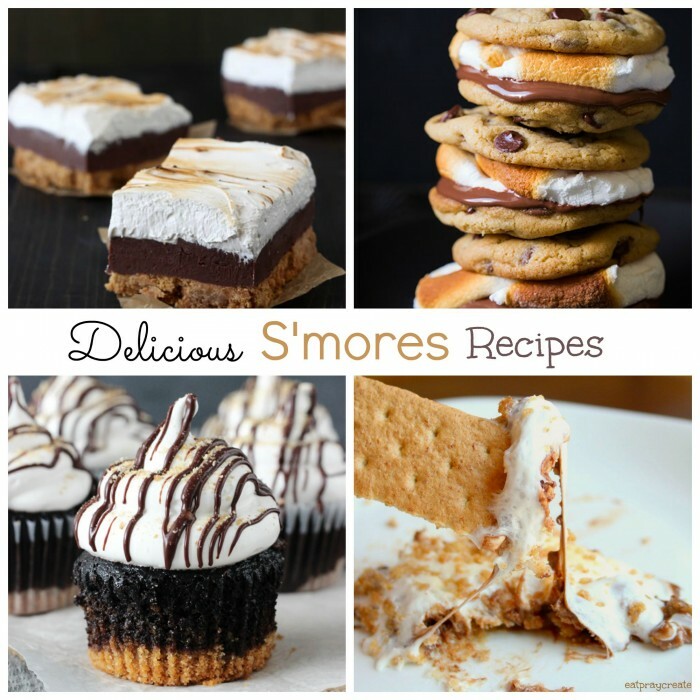 Another S’mores Bars Recipe that looks yummy! 7. 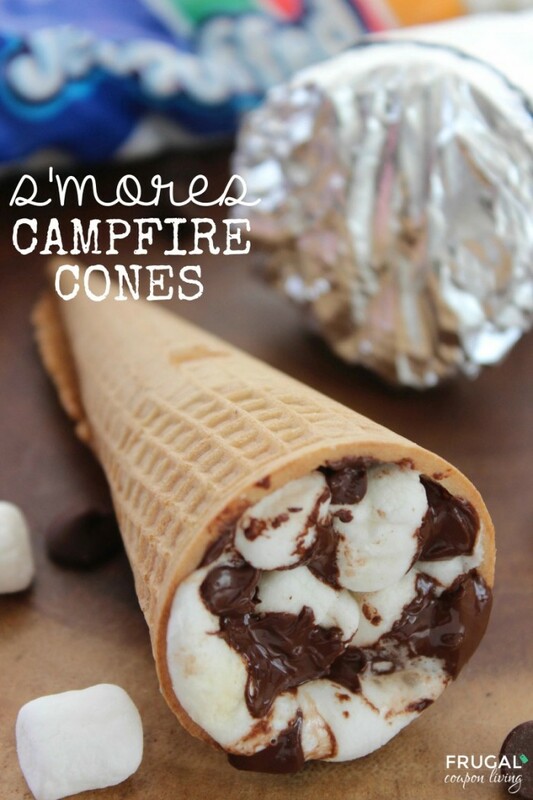 Camping Cones!! 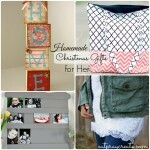 So creative!! 9. I think I would LOVE these because Reese’s are my favorite! 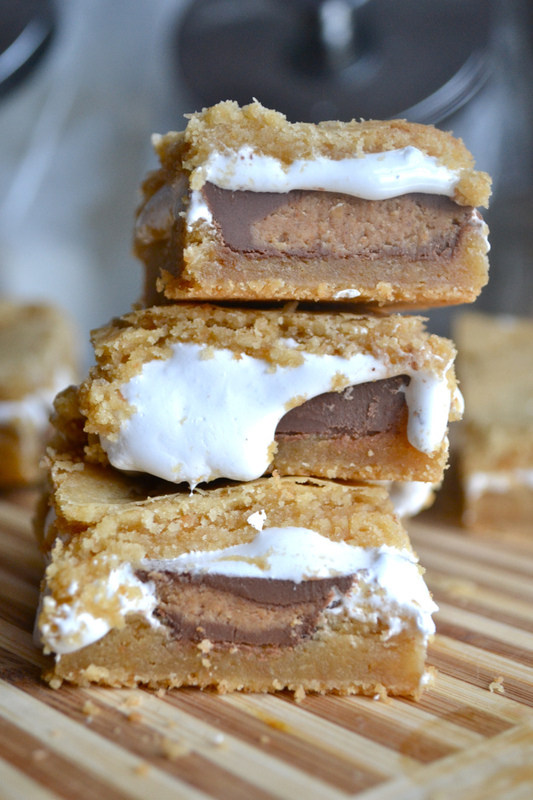 Peanut Butter Cup S’mores Bars. 10. 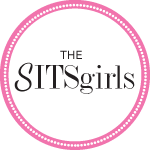 Last but certainly not least….because just look at how amazing these look! 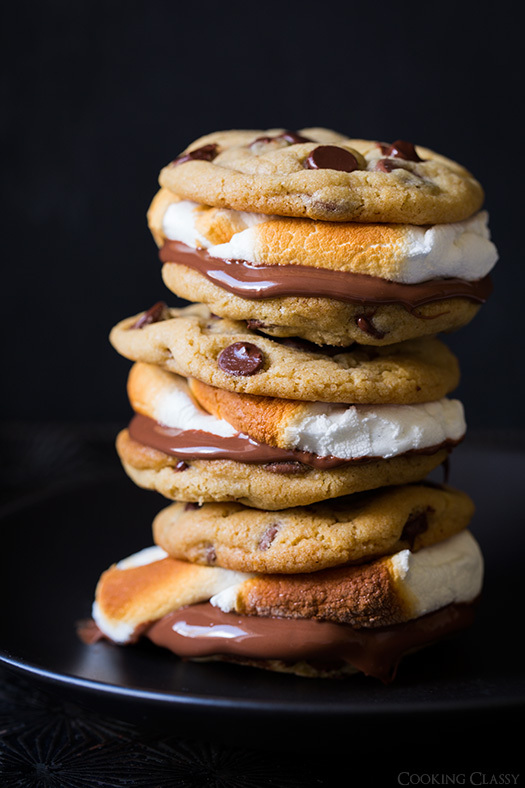 I think I know what my next treat is going to be, Chocolate Chip Cookie S’mores! How do you eat S’mores? Leave a comment below! 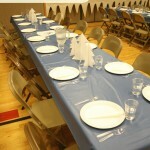 Click HERE to see all the fun linky parties we link up to.